Adds a 'Search in Google' option when tapping a message to instantly search your message at google.com. 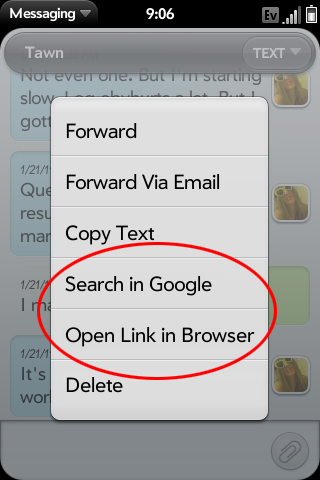 The second option added is 'Open Link in Browser' for when a url isn't click-able. The entire message should be a url for it to work.